H&H Land and Property together with Solicitors Burnetts, and Accountants, Business and Financial Advisors Armstrong Watson have joined forces to offer advice to farmers about the issue that sooner or later concern them all – succession planning. Entitled, Succession Planning – The Next Generation, the session will cover farming, legal and accountancy issues that concern the smooth transition of a farming business within families. 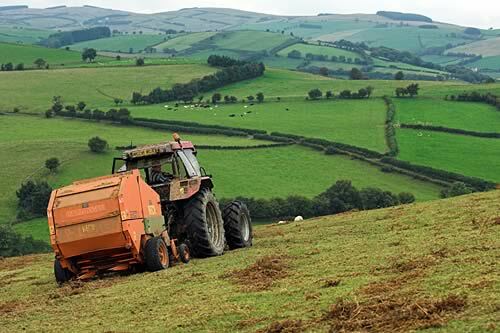 The seminar, to be delivered by experts representing different aspects of the agricultural world, is free to attend and will be held on Thursday 11th February at Cockermouth. Chaired by Adam Day, Managing Director of The Farmer Network, the three seminar speakers are Keith Johnston, Tax Director at Armstrong Watson, Richard Miller, Partner at Burnetts Solicitors of Carlisle, and Tim Parsons, Director of H&H Land & Property. An earlier event, held in Carlisle, was a great success and did prompt a lot of questions inspiring many people to think about the future of their business. In the past this has been an area which has been either left to chance or discussed at almost too late a stage to make a difference. If people don’t start to plan and think about the future then they are simply reacting to circumstances. Rules and regulations govern tenancy issues so it is vital to plan thoroughly. It is also important to structure a strategy for all matters pertaining to tax issues. This will foster peace of mind engaging the younger generation as business stakeholders, involving them at the outset so that they have an in-depth understanding at a much earlier stage. The main reasons for planning ahead are to enable individuals and businesses continuity and longevity without becoming reactionary. The two hour seminar will take place at Hundith Hill Hotel, Lorton Vale, Cockermouth, CA13 9TH on Thursday 11th February from 6.30pm - 9pm. A pie and pea supper can be enjoyed at the event, and anyone wishing to attend is requested to book ahead for catering purposes, by contacting Burnetts Solicitors on 01228 552222 no than Monday 8 February.